This page will feature select questions from the Weekly Businesses Quizzes with focus on Indian brands. Who will be the celebrity endorsing the bike Suzuki Hayate ? What new model of MUV has been launched by Maruti to compete with the likes of Innova and Xylo ? Jet has decided to merge Jet Konnect and JetLite. Which brand will be retained ? Why has Nestle India been hauled up for violating advt norms ? Name the celebrity who endorses Fast track, Flying Machine jeans, Herbalife, Fair and Lovely for men, Sangam suitings etc. Who has launched a special Tendulkar edition of a drink to honour Tendulkar 100th century ? Name this women’s cooperative that has 650 cr sales and exports of 29 cr. Cafe Coffee Day has launched Coffee day WakeCup recently. What is it? Ans. A coffee making machine to make one cup at a time. The men’s hair cream brand Brylcreem changed hands in India recently. Who is the new owner of this brand ? How do we better know UBISLATE 7+ from Datawind ? About what has Ratan Tata said that it is not a flop but it was a lost opportunity ? Thank you for this wonderful data . I would like to request you if you could help me a bit with my GK preparation for my MBA exam. I am preparing for SNAP, MAT, IIFT and IRMA. Great stuff……gives a lot of interesting information. I have added this site to favourites in my mobile browser and access on the go. thnks nd its great for me. its grt quiz……….thanks india busi quiz………. 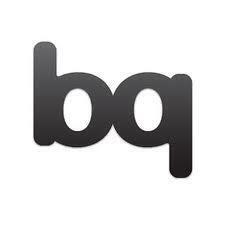 IBQ… this section is amazing.. do you have an update on it…. Awesome!it is very useful for management students.